Today’s students are grateful for so many things that make Albright College their home away from home. What they are most grateful for is you and your commitment to educating students of academic promise for success in lives and careers. 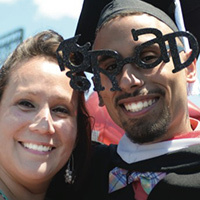 Your support provides access to our students and makes an Albright education attainable. There are many ways to support our mission, including donations of money, securities and planned gifts, as well as your time. No matter which method you choose, your gift will directly benefit the students of Albright by providing scholarships, classroom resources, campus facilities, special events, career opportunities and much more. Many alumni and friends choose to have their gift charged to a VISA, MasterCard, Discover, or American Express account. You may make a credit card gift online using our secure online donation form, or call 1-877-427-9756 to speak with the Office of Development. If you have any questions, please contact the Office of Development at 1-877-427-9756. Thank you for considering a gift of securities in support of Albright College. The College works closely with Charles Schwab & Co. to provide both the College and our donors with the highest level of service. This relationship enables us to record your gifts and put them to work as quickly as possible. The brokerage account and detailed instructions for making gifts of securities are printed below. We want this process to be as smooth, convenient and obstacle-free as possible. It is important that you or your broker call the Office of Development at 1-877-427-9756 or bpinto@albright.edu to inform us of your plan to make a securities or mutual fund gift to the College and indicate if the gift is unrestricted gift or is to be applied to a specific use or purpose. Donor Name and AddressIn order to promptly and accurately credit a security gift to the appropriate donor, it is essential that the transfer instructions include the donor’s name and address. Without this information, we are occasionally unable to identify the donors of certain securities. Please contact the development office to inform us you are making a transfer by calling 1-877-427-9756 or bpinto@albright.edu. Knowing in advance that you intend to transfer securities minimizes the risk of delay. In addition, if we are not aware of your intention to provide a gift of securities we may not be able to recognize you as the donor. Contact your broker and instruct him/her to transfer your gift via the DTC account listed above. NOTE:Please be advised that the recorded gift date for electronically transferred securities is based on the date and time it enters the College’s brokerage accounts. This date may or may not be the same day you instructed your broker to make the transfer. As there are several steps and persons involved, transfer times can vary from same day to up to five days. Delays are especially likely during certain periods, such as the end of the calendar year. The value of the gift is determined by the average of the high and the low prices of the security on the date of the gift. Phoenix, AZ 85072All deliveries MUST identify Albright College as the relevant Schwab client and include the Albright College Schwab account number (3401-0012) and the donor name and address.Please be certain to have your signature(s) on the stock guaranteed by a certified bank officer and complete the section indicating the name of the stock, the number of shares, and the certificate number(s).The value is determined as the average high and low prices on the date of the gift, which is the postmark for documents sent through the U.S. Postal Service, or the date that we received the documents in all other cases. If the certificate and stock power are postmarked with different dates, the later date will be used. If the certificate is hand delivered to a member of the Albright College staff or sent by a courier other than the U.S. Postal Service, the value is determined by the average of the high and the low prices on the date of the gift, which is the date the College takes physical possession of either the certificate or the stock power, whichever is later. All deliveries MUST identify Albright College as the relevant Schwab client and include the Albright College Schwab account number 3401-0012 and the donor name and address. Issue a certificate for all whole shares, liquidate all fractional shares and discontinue dividend reinvestment. Through the sustained generosity of those who believe in Albright’s mission, year in and year out, The Fund for Albright provides the College with vital resources to create our dynamic and collaborative learning environment, promote innovative programming, and provide much-needed financial aid for our students. Supporting Essential Resources – Annual Fund gifts help to fund essentials like academic programs, financial aid, equipment, software and library resources. They help keep the campus secure and clean, keep lights bright in classrooms and labs, and equip varsity sports teams. Classroom Innovation and Technology – Many of our campus classrooms are designed in the old lecture-style model. These funds would allow teachers more flexibility with active learning environments and provide enhanced ergonomics for the students with new furniture, replacement of carpet, paint, window treatments and lighting. 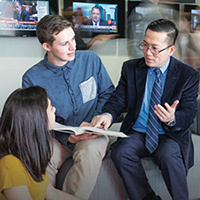 Scholarships and Financial Aid – Albright has a longstanding commitment to educating students of academic promise. These funds will enable us to make an Albright education a reality for those students who face financial hurdles or who would most benefit from our programs. 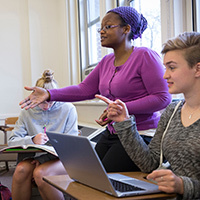 Academic Excellence and Innovation for Faculty Development – These funds support travel and resources for faculty to learn new teaching styles, develop new courses, engage students in scholarly and creative work and more. 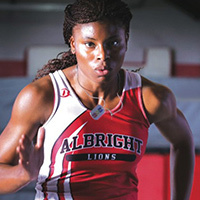 Support The Fund for Albright today. Your gift brings us ever closer to fulfilling our commitment of educating students of academic promise. The Director of Grants and Sponsored Programs works with faculty and staff to provide information and assistance in the grant-funding process. Along with researching funding opportunities, the Director is responsible for monitoring all grant activity as well as ensuring compliance with College and federal regulations for all sponsored programs. The goal of the grants office is to support College initiatives and faculty research and projects. The Grants Office also has access to a subscription database for researching funding organizations. Please contact the office for website and password. The purpose of these guidelines is to establish a proper flow of communication between external and internal personnel involved in a grant-related project. The procedures are meant to aid you in receiving initial and repeat funding. Please keep in mind that foundation, government agency and corporation timelines vary. Although some funders may make their decision within weeks of submission, others take up to six months to decide. Please plan your proposal timeline accordingly. Grant proposals must be submitted to the Grants Director at least two weeks prior to a funding deadline. If you have any questions, contact Charlene Wysocki, cwysocki@albright.edu, 610-921-7667. Contact Charlene Wysocki as soon as you have an idea for external funding. She will then assist with finding appropriate funders and helping you understand the grantor’s guidelines. Next step is to create a draft proposal, including budget, for review by the Grants Director and the Business Office. If your grant is awarded, the Grants Director will work with you and the Business Office to follow the established system of checks and balances. This is to ensure all grant protocol is followed correctly and final reports are submitted accurately. The Principal Investigator, Business Office, and the Grants Director will review the necessary items needed for reporting and acquisitions. The Principal Investigator will receive a restricted fund number from the Business Office for all purchase requests. The Business Office needs a copy of each requisition concerning the funds used for your grant award. (Business Office will also maintain a spreadsheet system to track all expenses related to the grant. This allows for easy evaluation of the status of the grant, and will also aid in final reporting). As the Principal Investigator, you will be responsible for submitting the narrative reports required by the granting agency. The Grants Director can assist with this process. If the grant is not funded, the Principal Investigator is encouraged to ask the funder for reviewer comments. The Grants Director will then work with the Principal Investigator on any recommended editing and resubmit the grant proposal either to the same funder or other possible funders. On Wednesday, September 5, 2018, the Internal Revenue Service and the Treasury Department announced that payments under state or local tax credit programs such as the EITC and OSTC Programs may be deductible as business expenses. This would provide an opportunity for businesses to work around the $10,000 limit on state and local tax deductions. Through the EITC program, your financial support will provide low-income and working class children with critical scholarships to the award-winning Albright Early Learning Center (AELC). Your EITC contribution will provide underserved children a vital opportunity to experience the AELC exceptional early education foundation—an opportunity that has the potential to enrich and change the course of their lives. Businesses large and small can apply for EITC credits through a simple, online process. Applications for businesses began being accepted on July 2, 2018, for fiscal year 2018-19 (July 2, 2018-June 30, 2019) and credits are awarded on a first-come, first-served basis. To determine your eligibility, you and your tax professional can access a copy of the guidelines and application at www.NewPA.com/eitc. Businesses can donate to the Albright Early Learning Center (AELC), through the program and receive tax credits equal to 75 percent of the contribution up to a maximum of $750,000 per taxable year. Tax credits can be increased to 90 percent of the contribution if the business agrees to provide the same amount for two consecutive tax years. Should you have any questions, please contact Chris Werner at cmwerner@albright.edu or 610-921-7508. Contrary to some common beliefs, we assure you estate planning isn’t just for the wealthy. There are many ways to help pass along assets to family members, often with better results than you initially thought possible, while including your alma mater in the process. Matching gifts increase the impact of your philanthropy! 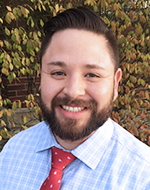 Please contact Chris Werner, Gift Processing Coordinator, at cmwerner@albright.edu or (610) 921-7508 for matching gift information and to register your employer as a matching gift company. 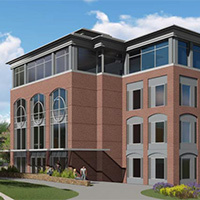 This initiative will target the renovations of 10 classrooms in Alumni Hall, Center for the Arts, Masters Hall, and Teel Hall. Faculty will be engaged in the decision making process to determine which classrooms have the biggest impact on student learning. 80% of funds raised will be used for immediate transformations, and 20% of funds raised will be placed in an endowed fund to ensure monies are continually available to update learning spaces at Albright. Read about various ways you can contribute to our Active Learning Classroom Initiative and renovate our outdated learning spaces. Naming opportunities inside Roessner Hall are another way to help fund our Active Leaning Classroom Initiative. Please follow this link for more information on this project that was one of the first buildings on Albright’s campus to reimagine its classrooms to a high-impact learning model. Albright has a longstanding commitment to educating students of academic promise. In order to fulfill this commitment, we need look no further than our own backyard for those we espouse to impact. In fact, 18% of Albright’s student population hails from Berks County, and 98% of Albright’s students receive need based financial aid. Establishing 20 new scholarships will provide Berks County students greater access to Albright College. Discover how you can establish a named or endowed scholarship to give our students the skills and knowledge they need to reach their full potential. Albright faculty are asked to focus on teaching, advising and mentoring students, collaborate with students on research and other creative work outside the classroom, be involved with students activities, and attend athletic events and various programs on campus. Faculty fellowships are an excellent way to reward and incentive teaching excellence. By establishing 10 faculty fellowships, we will reward our best teacher-scholars and support their professional development. Your support of this initiative can provide immediate impact or establish a faculty legacy. More information is available here. A 21st century college education demands a 21st century library that immerses learning in collaboration, mixes traditional materials with new media, and supplements student initiative with expert support. The current Library has served students, faculty, and community members since 1964. Learn about our vision for the future of Gingrich Library, which will give Albright an inviting and comfortable learning environment designed to bring together students, faculty, skilled professionals, information resources, high-end technology resources and student support services. This vital outdoor facility will serve as a home base for our track and field student-athletes. Key features will include an artificial turf field, an eight-lane all-weather track, a fully automated timing system, lighting, a scoreboard, and more. The project will also provide additional playing space for several varsity and club sports. In addition, the new facility will enable area residents to use the track and field for wellness activities through the Schumo Center for Fitness and Well-Being. More information on what is included with this facility that will greatly enhance the attractiveness of the college to prospective students. Albright College is fortunate to receive gifts from a large list of generous donors. The gifts made by these donors allow the College to provide wonderful opportunities for our students. These endowments are created by individuals from different backgrounds who find joy in giving back to their community. We would like this opportunity to share some background information on our donors, and personally thank them for all of their generosity towards the College and our students. Joseph A. Abey Rotary Scholarship: established by the Rotary Club of Reading in honor of Joseph A. Abey, a member of the Reading club who served as president of Rotary International, with preference given to Berks County students. Homer Addams Memorial Scholarship: established through a bequest by the late Dr. Homer Addams, with preference given to worthy students in the top fourth of their class. George I. Alden Trust Scholarship: established by the George I. Alden Trust, Worcester, Mass., for financial aid to deserving students. The American Bank Employee Scholarship Fund: originating through the American Bank Employee Scholarship Association Fund recognizing their belief that freedom rests upon knowledge. Preference is given to children of American Bank and Trust Company of Pennsylvania, or its subsidiary corporations, employees. The Dorothy Stavrides Barbera ’51 Endowed Scholarship Fund: established by William C. Stavrides, D.D.S. ’49 and Dorothy Seisler Stavrides ’49 in memory of Dr. Stavrides’ sister. Awarded to deserving biology majors with financial need who are citizens and residents of the United States. The Angelo J. ’47 and Elaine Kyle ’47 Baro Scholarship Fund: established by Elaine Kyle Baro ’47. Awarded annually to two deserving fashion, merchandising, textiles and design majors with financial need, who are in solid academic standing and citizens and residents of the United States of America. Nadia Zaman Barron ’94 and Peace Kali ’95 International Student Scholarship: established by family and friends in memory of Nadia Zaman Barron ’94 and Peace Kali ’95. The scholarship is awarded annually to a deserving international student. John A. Bartholomew Scholarship: established through a bequest by John A. Bartholomew, a graduate and professor at Central Pennsylvania College, which later became Albright College, for a worthy student. The Beard Miller Company Scholarship: established by Beard & Company Inc., CPAs, with preference given to Berks County or Lehigh County students majoring in accounting. Howard C. Bell ’51 Scholarship: established through a bequest from Howard C. Bell, Class of 1951, for scholarship assistance. Kenneth L. ’25 and Janet Kaltreider Benfer ’25 Scholarship: established through a bequest by Kenneth J. and Janet K. Benfer, both Class of 1925, with preference given to pre-med, pre-dental, pre-law and/or pre-theology students. Elizabeth and Gustave Bergstedt Endowed Scholarship Fund: established through a bequest by Elizabeth Bergstedt ’37 and awarded annually to deserving students who demonstrate financial need. Berks County Business Concern Scholarship: established anonymously by a local company, with preference given to Berks County residents who are academically qualified and demonstrate need. Amy Leigh Miller Birkbeck ’86 Memorial Scholarship: established by family and friends of Amy Leigh Miller Birkbeck, Class of 1986, with preference given to a sophomore student with financial need. This scholarship is renewable provided the student maintains a grade point average of at least 3.0 and continues to participate in at least two extracurricular activities. John A. Blessing Foundation Scholarship: established by the John A. Blessing Foundation, Camp Hill, Pa., for financial aid to deserving students. Mary Louise Boardman Memorial Scholarship: established by Doris Schlosser Gebhardt ’44 in memory of her daughter, with preference given to worthy students studying art or music. Bon-Ton Scholarship: established by the department store, Pomeroys Inc., which later became part of The Bon-Ton chain, with preference given to Berks County students or children of The Bon-Ton employees. Martin B. Bookbinder Memorial Scholarship: established by friends of Martin B. Bookbinder, an active participant in Reading and Berks County politics, with preference given to worthy third-year business or political science majors, based on ability, who are Berks County residents. Solomon Boscov Endowed Scholarship: established by Boscov’s Department Stores, with preference given to a son or daughter of a deceased or disabled employee of Boscov’s Department Stores or a resident of Berks County, based on need and varying in amount according to need. C.H. Briggs Company Scholarship: established by the C.H. Briggs Hardware Company with preference given in the following order to the children or grandchildren of active employees, retired employees, or minorities of Berks County, or minorities who have demonstrated financial need. Margaret Woodring Brillhart ’20 and Margaret Hurst Woodring Memorial Scholarship: established by S. Edward Brillhart, husband of Margaret Woodring Brillhart, in honor of the two most beloved and influential women in his life. Preference is given to an entering first-year student having a SAT score of 1160 and ranking in the top 10 percent of his or her class. This scholarship is renewable for up to four years provided a 3.0 grade point average is maintained. John H. Broadbent Jr. Endowed Scholarship: established by a gift from John H. Broadbent Jr., a trustee of the College, to be awarded to underrepresented minority students from Berks County and continued each year for four years, provided that the students maintain a full-time course load and a 3.0 GPA. William W. and Dorsey W. Bruner ’29 Scholarship: established by Dorsey W. Bruner, Class of 1929, for deserving students. The donor’s grandfather, William W. Bruner, graduated from Central Pennsylvania College, a precursor to Albright College, in 1899. Willard N. Burger Scholarship: established by Willard N. Burger ’34 to assist a student who demonstrates financial need. The Louis D. Cafoncelli Memorial Scholarship: established by Joseph ’02 and Kathy ’99 Cafoncelli, with additional contributions from family and friends, in honor of Joseph’s father, the late Louis D. Cafoncelli, beloved husband, father, grandfather, business leader and dear friend to many. Preference is given to graduates of Berks County high schools with an interest in pursuing a career in business and who have demonstrated a determination and willingness to help finance their education through employment. Edward & Virginia F. Cammarota Memorial Scholarship: income from an endowed fund created to honor ardent supporters of the Albright College Red & White Club by providing scholarships to students of demonstrated academic ability and financial need. Judith M. Campbell ’63 Memorial Scholarship: established by classmates and friends of Judith M. Campbell, Class of 1963, with preference given to deserving and needy students indicating interest in teaching in the humanities. Class of 1934 Scholarship: established through gifts from members of the Class of 1934 in honor of its 50th anniversary, for deserving students. Class of 1935 Scholarship: established through gifts from members of the Class of 1935 in honor of its 50th anniversary, for deserving students. Class of 1936 Scholarship: established through gifts from members of the Class of 1936 to provide funds for needy students. Class of 1937 Scholarship: established through gifts from members of the Class of 1937 in honor of its 50th anniversary, for deserving students. Class of 1938 Scholarship: established through gifts from members of the Class of 1938 in celebration of their 50th anniversary to provide financial aid to worthy students. Class of 1939 Scholarship: established through gifts from members of the Class of 1939 in celebration of their 50th anniversary to provide financial aid to worthy students. Class of 1940 Scholarship: established through gifts from members of the Class of 1940 in celebration of their 50th anniversary to provide financial aid to worthy students. Class of 1941 Scholarship: established through gifts from members of the Class of 1941 in celebration of their 50th anniversary to provide financial aid to worthy students. Class of 1946 Scholarship: established through gifts from members of the Class of 1946 to provide funds for needy students. Class of 1947 Memorial Scholarship: established through gifts from members of the Class of 1947 in honor of its 40th anniversary, and rededicated to the memory of deceased classmates on the occasion of the class’ 50th anniversary, for needy and deserving students. Class of 1951 Scholarship: established through gifts from members of the class of 1951 in honor of their 50th reunion, for deserving students. Class of 1955 Scholarship Fund: established by members of the class of 1955 in honor of their 50th reunion, as well as a challenge gift from an anonymous donor who matched all gifts, dollar for dollar, up to $25,000. Awarded annually to an Albright College student who demonstrates financial need and maintains at least a 2.8 GPA on a 4.0 scale. Class of 1956 Scholarship Fund: established by members of the class of 1956 in honor of their 50th reunion and graduation from Albright College. Awarded annually to an Albright College student who demonstrates financial need and maintains at least a 2.8 GPA on a 4.0 scale. Class of 1958 Scholarship Fund: established by members of the Class of 1958 in honor of their 50th reunion celebration. Awarded annually to an Albright College student who demonstrates financial need and maintains at least a 2.8 GPA on a 4.0 scale. Class of ’69 – Edward Domers Endowed Scholarship: established by members of the class of 1969 to memorialize their Class President, Ed Domers, who passed away suddenly in 1997. Awarded annually to a business major, with preference for a student from Interboro High School and Delaware County, Pa.
Class of 1980 Scholarship: established through gifts from members of the Class of 1980 to provide financial assistance to students who are sophomores, juniors or seniors who require exceptional scholarship considerations due to the removal or loss of financial support caused by circumstances beyond their control. Class of 1981 Scholarship: established through gifts from members of the Class of 1981 to provide assistance to students who are sophomores, juniors or seniors who require exceptional scholarship considerations. Class of 1982 Scholarship: established through gifts from members of the Class of 1982 to provide financial assistance to students who are sophomores, juniors or seniors who require exceptional scholarship considerations and are actively involved in campus student organizations. Class of 1984 Scholarship: established through gifts from members of the Class of 1984 to provide financial assistance to upper class students who have demonstrated leadership qualities in two or more campus student organizations. Class of 1986 Scholarship: established through gifts from members of the Class of 1986 for sophomores, juniors and seniors who require exceptional scholarship considerations. Class of 1987 Scholarship: established through gifts from members of the Class of 1987 for sophomores, juniors or seniors who require exceptional scholarship considerations and are actively involved in more than one leadership position in campus student organizations. Class of 1988 Scholarship: established through gifts from members of the Class of 1988 for sophomores, juniors or seniors who require exceptional scholarship considerations and are actively involved in more than one leadership position in campus student organizations. Class of 1989 Scholarship: established through gifts from members of the Class of 1989 for sophomores, juniors or seniors who require exceptional scholarship considerations and are actively involved in more than one leadership position in campus student organizations. Class of 1990 Stanley K. Smith Jr. Scholarship: established through gifts from members of the Class of 1990 in honor of Dr. Stanley K. Smith Jr., professor emeritus of psychology, for worthy students. Class of 1991 Scholarship: established through gifts from members of the Class of 1991, for worthy and needy students. Dr. Ronald E. Cocroft Independent Lutheran Church Endowed Scholarship: awarded with preference to a needy student from Berks County, Pa., who is in the Religious Studies Department. Gus Cohen ’40 Scholarship: established by Gus Cohen, Class of 1940, with preference given to needy, worthy and deserving Jewish students of academic merit. David P. Crater Memorial Scholarship: established through the estate of David P. Crater, Class of 1970, with preference given to graduates of Reading Senior High School whose past academic record is not of the first rank. George Frederick Croessant Memorial Scholarship: established by Mary A. Croessant in memory of her husband, for a worthy male pre-medical student, with preference given to students from Berks County or the Commonwealth of Pennsylvania. John Franklin Crowell Memorial Scholarship: established through a bequest by Carrie Pascoe Crowell, for the maintenance, education and support of worthy students who are in financial need. Charles T. Davies Memorial Scholarship: established by Mrs. Davies in memory of her husband for worthy students. Captain John O. Davies ’64 Scholarship: established by the Day Students Association in honor of Captain John O. Davies, Class of 1964, a prisoner of war in North Vietnam from 1967 to 1973, with preference given to a commuting student who resides in Berks or adjacent counties. Warren L. Davis Scholarship: established through a bequest by Louise D. Hinnershots, for full educational expenses for worthy and needy students of high academic standing and ability. This scholarship is renewable through the senior year provided that satisfactory work is maintained. Glenn A. H. Deibert, M.D. ’28 Memorial Endowed Scholarship: established through gifts by the family and friends of Glenn A.H. Deibert, M.D., Albright College class of 1928, of Reading, Pa., in appreciation of Albright College and to honor the memory of Glenn A.H. Deibert, M.D. ’28; this scholarship is awarded with preference to a pre-medical students, who may have the scholarship renewed in future years, if in good academic standing. The Diefenderfer Family Scholarship: established by Paul and Minnie Diefenderfer, to be awarded annually with preference for a full-time student who demonstrates financial need. Robert Calvin Douds Memorial Scholarship: established through gifts from family and friends of the late Robert Calvin Douds, with preference given to worthy students concentrating in the humanities. Professor John G. Dundore Scholarship: established through a bequest by the late Professor Dundore, for deserving and needy students. Richard J. Duney Jr. Scholarship: established by friends of Richard J. Duney, with preference given to sophomores from New Jersey majoring in business administration or finance. This scholarship is renewable provided a 3.0 grade point average in the same major is maintained. The J. Luella Dunn and Kenneth E. Dunn Endowed Scholarship Fund: awarded with preference given to a student who is academically strong and who, without such assistance, might not be able to obtain the advantage of a college education. Eastern Conference United Methodist Church Scholarship: awarded annually to needy and deserving United Methodist students. Emanuel United Methodist Church Scholarship: established with proceeds from the closure of Emanuel Church of Binghamton, N.Y., for worthy students, with preference to students from the Wyoming Conference area. Richard J. Essick and Minerva L. Essick Scholarship: established through a bequest from Minerva L. Essick, with preference given to graduates of Berks County public high schools who are of high academic standing and demonstrate need. John R. Evans Sr. ’50 and Helen M. Evans Scholarship: established by John R. Evans Sr., Class of 1950, in memory of his parents who were active members of the Albright community in the 1930s and 1940s, with preference given to deserving students seeking a bachelor of science degree in social sciences. First Energy Scholarship: established by General Public Utilities Corporation in honor of A.F. Tegen, former president and chairman of the board of the company, with preference given to the son or daughter of a present or deceased employee of one of the following companies: General Public Utilities Corporation, Pennsylvania Electric Company, Metropolitan Edison Company, Jersey Central Power and Light Company, and New Jersey Power and Light Company. Mildred Folk Fetrow ’58 and David E. Fetrow Scholarship: established by Jacquelyn S. Fetrow Ph.D. ‘82 and Brian Kell in memory of the parents of Jacquelyn to support students with financial need, with preference give to PA students who demonstrate academic promise. The Bradley Bliss and Rei Makino Fuller Scholarship Fund: established by Bradley B. Fuller ’73 and Rei Makino Fuller ’75. Awarded annually to one deserving international student or disabled student with financial need, who is in good academic standing. Joseph E. Gable, M.D. Memorial Scholarship: income from an endowed fund established by family, former students, and friends, with preference given to a senior pre-medical student who has demonstrated through deeds and actions a compassion, concern and service to the Albright community. The M. Jack ’43 Gehman, M.D. and Jean L. Gehman Endowed Scholarship: established by the family and friends of M. Jack Gehman ’43 for a junior or senior pre-medical student with financial need. Janet L. Gehres Endowed Scholarship: income from an endowed fund established in honor of emerita assistant professor of biology Janet Gehres by Andrew E. Hummel, D.O., DABA ’82, Ross A. Ziegler, D.M.D. ’82, Eileen I. Gradwell, R.N. ’88 and Scott A. Gradwell, D.M.D. ’84, and other former students and friends. The scholarship is awarded annually to a single student of good character in any academic discipline based upon recommendations by members of the Albright faculty. Any student who works hard, cares about his fellow man, understands the value of personal integrity, and can demonstrate financial need, is invited to solicit a nomination. Senator ’41 and Mrs. Robert R. Gerhart Jr. Scholarship: established by Senator Gerhart, Class of 1941, and Mrs. Gerhart for needy and worthy students. The Goforth Scholarship: established by Ethel G. Wagner ’37 and awarded to an incoming first-year pre-medical student who demonstrates financial need. The scholarship may be renewed in succeeding years if the recipient maintains at least a 3.0 grade point average. Abe Goodman Memorial Scholarship: established by the family and friends of Abe Goodman, for students demonstrating financial need. Marcus H. Green Scholarship: established by former students and friends in memory of this late Albright professor, with preference given to juniors and seniors concentrating in the natural sciences who demonstrate a high level of academic achievement and show financial need. Mary E. Gresh ’38 Scholarship Fund: established through a bequest by Mary E. Gresh, Class of 1938, for scholarship assistance to deserving students. John H. Hain ’37 Scholarship: established through a bequest by John H. Hain, Class of 1937, with preference given to students concentrating in the sciences. Hangen Family Scholarship: established in honor of the Reverend George W. Hangen and Mrs. Minnie Grabill Hangen by their children and other family members, for qualified and deserving students with financial need. Five of the Hangen’s eight children attended Albright, and four of them married Albright graduates. Howard H. Hardman and Daisy F. Hardman Scholarship: established from a trust fund for needy, worthy and deserving students, with preference given to students from the Mohrsville, Pa., area. The Neal O. Harris Scholarship: established by Estella E. Harris in honor of her husband, Neal O. Harris, who coached the Albright basketball team from 1938-48, for worthy and needy students. The Joe ’56 and Blanche Hayick Scholarship Fund: established by Joseph F. Hayick, class of 1956 and his wife, Blanche Hayick. Awarded annually to one deserving Albright College student, with preference given to a student interested and/or majoring in business administration, with financial need and who is in good academic standing. J.F. Horrigan Sr. Scholarship: established by Horrigan American, Inc., in honor of its founder, J.F. Horrigan Sr., with preference given to students in the business program. Roger D. Jensen Memorial Scholarship: established through funds received from the class of 1983 in memory of Professor Jensen, this scholarship is to be awarded to sophomores, juniors and seniors who qualify for financial aid and are actively involved in more than one leadership position in campus student organizations. The William F. Jones ’33 Memorial Scholarship Fund: established by the William F. Jones Charitable Remainder Trust to be awarded annually to Albright College students who demonstrate financial need. Kappa Upsilon Phi Scholarship: established by the Kappa Upsilon Phi fraternity on the anniversary of their 85th reunion for qualified and deserving students, with preference given to children and direct descendants of Kappa alumni. The Derek R. Kehoe ’09 Memorial Scholarship: established by Kevin J. Kehoe and Lois O. Kehoe, the father and stepmother of the late Derek R. Kehoe ’09. Awarded annually to an Albright College student who participated in the Albright College Summer Start program and who demonstrates financial need. Mabell L. Kelchner Biology Scholarship: established through the estate of Mabell L. Kelchner, class of 1927, to be awarded to a deserving student majoring in biology and selected by the Biology Department. The Gary Kennis ’95 Memorial Scholarship: established by Charles and Marion Kennis in memory of their son. The scholarship is awarded to a sophomore or junior philosophy major who demonstrates financial need and shows sincere intent of purpose in the major area, and may be renewed in succeeding years provided that the recipient maintains at least a 3.0 grade point average in the major and a 2.5 grade point average overall. The scholarship also may be awarded to a political science major in the event that no philosophy major meets the requirements. Joseph P. Kierstead ’54 Memorial Scholarship: established by family and friends in memory of Joseph P. Kierstead, a member of Albright College Class of 1954, to be awarded to a first-year Albright student who has demonstrated financial need. The scholarship will follow that student for four years so long as academic and financial criteria are met. John Norman Klein II ’25 Memorial Scholarship: established through a bequest by the late J. Norman Klein, Class of 1925, in memory of his grandson, for needy and worthy students. John and Jane Kline Endowed Scholarship: awarded in perpetuity to junior accounting or economic majors who demonstrate financial need. In the event no accounting or economic majors can be identified, the scholarship shall be awarded to junior English majors. It is the donor’s wish that the scholarship be renewed for the senior year if the recipient has at least a 2.5 cumulative grade point average. Leona and Sidney Kline Endowed Scholarship: awarded to deserving students with financial need. William N. Kline Memorial Scholarship: established by Kathryn A. Kline in memory of her husband for worthy and needy students. Esther C. Krasevac Scholarship: established by Esther C. Krasevac, a former Albright staff member, with preference given to worthy students with the greatest financial need who maintain at least a C average. Jack L. Krick ’58 Scholarship: established by Jack L. Krick, Class of 1958, for needy and worthy students, with preference given to Berks County residents. The Joseph and Anna Kuettel Scholarship Fund: established by Dorothy Kuettel, class of 1953. Awarded annually to one deserving Albright College student with financial need who is in good academic standing. Mary Elizabeth Kuhn Memorial Scholarship: established through a bequest by Mary Elizabeth Kuhn, with preference given to deserving pre-ministerial students and other students studying for work in the mission fields of the United Methodist Church. Frederick W. Lindner Memorial Scholarship: created to honor Frederick W. Lindner for his service to his family, to the spread of the Gospel, and to the United Methodist Church, and to recognize outstanding Albright College students. This scholarship will be awarded to a member of the senior class, with preference given to those students who began their studies as an evening division student, have done community service work, are majoring in religion, philosophy, or business, and who has the highest cumulative grade point average of the possible recipients. The Loomis Companies Ltd. Scholarship: established by The Loomis Companies Ltd., with preference given to an academically qualified student in need of financial assistance majoring in business administration. The Chris A. Machmer ’74 Endowed Scholarship Fund: to be awarded to a graduate of Hamburg Area High School. William E. ’31 and Ruth D. Maier Endowed Scholarship Fund: established through the Trust Agreements of William E. Maier ’31 and Ruth D. Maier to encourage and assist students who are organists, musicians or performing artists. Andre Maranhão ’87 Scholarship: established through gifts from the family of Andre Maranhão, Class of 1987, for financial assistance to needy and worthy students. William R. Marlow Scholarship for International Students: established by friends and colleagues of William R. Marlow, professor emeritus of religion, on the occasion of his retirement, for financial assistance for international students. Stratton P. Marmarou Scholarship: established in honor of Stratton Marmarou, Albright’s former director of campus security, with preference given to legal residents of Berks County who are members of the Greek Orthodox faith and maintain a grade point average of at least 3.0. Mr. Marmarou received the Alumni Association Service Award in 1997 for his extraordinary service to the College and the community. The Veerah J. Masters Memorial Scholarship Fund: established by Dr. P. Kenneth ’55 and Mrs. Jane (Masters) Nase in memory of Veerah J. Masters, wife of the late President Harry Masters. Awarded annually to deserving Albright College students who have financial need and are in good academic standing, with preference given to junior and senior history or political science majors intent on a career in secondary education. Ray Mest ’62 Mathematics Scholarship and Senior Merit Award Fund: established by Albright College faculty and alumni of the Mathematics Department, to award a scholarship each fall semester to a sophomore, junior and senior mathematics major who is recommended by the Mathematics Department and who demonstrates exceptional academic achievement in mathematics; and a senior merit award each spring to the senior mathematics major who is chosen by Mathematics Department faculty and who demonstrates exceptional academic achievement and contributes to the overall learning environment within the Mathematics Department. Alan ’32 and Gladys Baker McCarroll ’32 Scholarship: established by Mrs. Patricia Wood in memory of her parents, Mr. and Mrs. McCarroll, both Class of 1932, with preference given to a full-time student demonstrating financial need who is a child of a minister or a pre-ministerial student, or an accounting major. This scholarship is awarded in the sophomore year and is renewable through the senior year. Edith B. McCarthy Scholarship: established by Edith M. McCarthy, with preference given to deserving students pursuing their degrees through the Center for Continuing Education. John J. McKenna ’50 Memorial Scholarship: income from an endowed fund established by family and friends in memory of John J. McKenna, Class of 1950, with preference given to a junior who is preparing to be an elementary or secondary school teacher. Roy A. McNaughton Scholarship: established by Roy A. McNaughton, Class of 1934, with preference given to needy and deserving students majoring in the sciences. Medlar Electric Company Scholarship: established by Medlar Electric Company, with preference given to children of employees who are qualified and in need of financial assistance. The Barry Merritt ’61 Endowed Scholarship Fund: established by the estate of Virginia F. Barbey. Awarded annually to a student who demonstrates financial need and maintains at least a 2.8 GPA on a 4.0 scale. Leon and Mary Miller Scholarship: established through bequests by the late Mr. and Mrs. Leon Miller, with preference given to students studying for careers in the Christian ministry. Ministerial Grant: given with preference to children of ministers and students preparing for careers in the ministry. Samuel Notman Mitchell Scholarship: established by the Samuel Notman Mitchell Foundation with preference given to United Methodist students who exhibit the characteristics Mr. Mitchell exemplified during his lifetime. Elmer L. Mohn 1902 Memorial Scholarship: established in memory of Elmer L. Mohn by his wife, Florence Schlegel Mohn, Class of 1913, and his family, relatives and friends, for needy students of academic merit. George and Georgia Morfogen Memorial Scholarship: established by the late George Paul Morfogen, Class of 1947, in honor of his beloved wife and companion of 40 years, for deserving students with financial need. The Lynn S. Morrow Memorial Scholarship: given to a sophomore student with a concentration or co-concentration in theatre with regard to financial need and merit within that theatre concentration. Preference is for a sophomore, but recipient must be in good academic standing, hold a minimum cumulative GPA of 2.50 and a minimum theatre GPA of 3.30. Qualified upperclassmen who transfer to Albright College may also be considered. Col. and Mrs. Clinton O. Morton Scholarship: established by Colonel and Mrs. Clinton O. Morton, with preference given to academically outstanding students concentrating in the humanities. Stacy D. Myers Family Scholarship: established in memory of the Stacy Myers family through a bequest by Blanche and Charles Rose, Mr. Myers’ aunt and uncle, with preference given to pre-theological students studying for the United Methodist ministry, or for students from the Eastern Pennsylvania Conference of the United Methodist Church. Michael Noumair ’75 Scholarship: established through memorial gifts from the family and friends of Michael Noumair, Class of 1975, for deserving students. Natalie G. Olson Class of 1985 Memorial Scholarship: established by the family and classmates of Natalie G. Olson, Class of 1985, for needy and deserving students. W.W. Orwig Memorial Scholarship Fund: for worthy and needy students established by the Board of Trustees in memory of his long service as the first principal and first president of the Board of Trustees of Union Seminary, the mother institution of Albright College. Ronald W. Oudinot Memorial Scholarship Fund: established through the estate of Ronald W. Oudinot, Albright Class of 1979, to be awarded to the most deserving junior or senior student majoring in history. James Galt Overholser Memorial Scholarship: established by J. Spencer Overholser and Lyle G. Overholser in memory of their father, for a full-time sophomore or junior, preferably a Pennsylvania resident, who is interested in Christian education and has a commitment to volunteer service to church and community. The student shall retain the scholarship through the senior year provided that a 3.0 grade point average and other criteria are maintained. Ruth and J. Spencer Overholser Scholarship: established by Ruth and J. Spencer Overholser for a full-time needy sophomore or junior, preferably a Pennsylvania resident, who shall retain this scholarship provided that a 3.0 grade point average is maintained. Phi Delta Sigma Honorary Alumnae Sorority Scholarship: established by members of Phi Delta Sigma Honorary Alumnae Sorority in honor of the group’s 70th anniversary, with preference given to a senior Phi Delta Sigma sorority pledge who best exemplifies the sorority’s ideals of scholarship, service and character. John A. Potsklan Memorial Scholarship Fund: established by family and friends in memory of John Potsklan, highly regarded Albright head football and baseball coach and physical education instructor for 29 years, for needy and worthy students. Linda Raith Memorial Scholarship: given with preference to students studying political science who are in financial need. Although not a requirement of the scholarship, the donor requested that recipients reimburse the College during their lifetime, in some way, for the amount of funds received. Carol Ralff ’85 Memorial Scholarship: established by family and friends of Carol Ralff, Class of 1985, with preference given to a student majoring in science who has an interest in music. The Colonel Douglas L. Rankin ’66 Endowed Scholarship: awarded with preference for a student from studying either, accounting, economics, or business from Carlisle High School (PA), Bowling Green High School (OH), or Wapakoneta High School (OH). Col. Rankin, himself an active member of his local Christian church, seeks a student similarly motivated toward good works and sound, ethical judgment. Reading Automatic Machine Corporation Scholarship: established by Reading Automatic Machine Corporation, for scholarship assistance to needy and worthy students. Philip Earl Riddle Memorial Scholarship: established through a bequest by Marguerite L. Riddle in the name of her son, Philip Earl Riddle, with preference given to deserving students who show exceptional scholastic ability. Charles A. Rist Family Endowed Scholarship: established by Ella E. Rist to provide scholarships that assist qualified candidates in completing a four-year business major program at Albright College. Russell E. Ritter Memorial Scholarship: established by The Ritter Foundation, Harrisburg, Pa., in memory of Russell E. Ritter, a long-time member of the Albright College Board of Trustees, for deserving students. Philip Morse Robinson ’84 Memorial Scholarship: established by brothers of Delta Tau Chi fraternity in memory of their friend Philip Morse Robinson, Class of 1984, with preference given to a needy and deserving student in business administration, or a member of any Albright Greek letter organization. Alex J. Rosenberg ’39 Scholarship: established by Alex J. Rosenberg, Class of 1939, for a student who demonstrates financial need. Dr. Thelma Maginnis Ross Scholarship: established by Dr. Thelma Maginnis Ross, with preference given to needy junior or senior students interested in becoming osteopathic physicians. The scholarship is awarded on the basis of merit with financial need as a secondary consideration. Philip and Mary Lee Rowe Endowed Scholarship: established by Philip and Mary Lee Rowe, for deserving students who have demonstrated financial need. Dr. George Ruck Scholarship: established with contributions from The George Ruck Trust, for deserving students. The Bob and Judy Rundle Endowed Scholarship Fund: established originally by Robert Rundle of Rundles Pharmacies, Inc., in 1986, as the Rundles Pharmacies Inc., Scholarship, the name of the scholarship was changed in 2009 to reflect the wishes of the donor. This scholarship gives first preference to residents of Berks County. The Samarvir Singh Sahi ’92 International Student Scholarship: established by family, Sikh communities and friends in memory of Samarvir Singh Sahi, an international student of exceptional talent, maturity and high ethical conduct. The scholarship is awarded annually to a first-year international student of great academic promise who demonstrates integrity, leadership and dedication to study and self-improvement. The Judy and Elliot Sauertieg Scholarship Fund: established by Elliot A. Sauertieg, M.D., class of 1952, and Judy Sauertieg, his wife. Awarded annually to one deserving Albright College student in his or her junior year, who is enrolled in the pre-medicine program, has financial need and has a minimum cumulative GPA of 3.7 on a 4.0 scale. 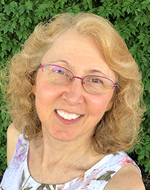 Mark J. and Grace I. Schlasman Scholarship: established by the estate of Grace I. Schlasman (graduate of Albright at Myerstown) in memory of herself and her husband, Mark J. Schlasman, with preference given to needy female students. The Raymond C. Schlegel ’51 Memorial Scholarship Fund: established by a bequest of the Schlegel family in honor of Raymond C. Schlegel, Esquire, Class of 1951, board member and former president of the Berks County Bar Association. Awarded annually to students at Albright College, who are in solid academic standing, with preference to Berks County high school graduates who are pre-law English majors, and citizens and residents of the United States of America. Emily E. and William J. Scholl Scholarship: established by John D. Scholl, Class of 1969, in memory of his parents, for fulltime freshmen students with financial need, preferably residents of Berks County. The Arno and Anny Seeliger Scholarship Fund: awarded to one or more male students matriculated at Albright who are of the Jewish religion and who, in the sole discretion of Albright College or its designees, evidence both financial need and scholastic aptitude. Senior Class Endowed Scholarship: Awarded to deserving students with financial need. Harry Brant Sheeley ’24 and Martha Shambaugh Sheeley ’24 Scholarship: established through gifts from the Sheeleys and from their estate to assist deserving students, who without such assistance, might not be able to obtain the advantage of a college education. The Nancy Ratajczak Shuman Memorial Scholarship: created by friends and family of Nancy Ratajczak Shuman ’60, to be awarded to an outstanding, caring and compassionate senior pre-med major demonstrating financial need. Agnes Bahr Smeltzer Memorial Scholarship: established by Charles D. Smeltzer in honor of his mother, with preference given to deserving students who are members of the United Methodist Church. The Professor Louis Smith Scholarship Fund in Political Science: William W. Walb Jr., Class of 1948, of Pemberton, N.J., establishes this scholarship fund in honor of the teaching life and memory of his dear mentor and professor, Professor Louis Smith of the Political Science Department at Albright College. The recipient of this scholarship shall be a student in good academic standing who demonstrates financial need and has declared his or her major as political science at Albright College. The Dr. John R. Spannuth ’21 Scholarship: established by Dr. John R. Spannuth, Class of 1921, for needy and deserving students. John G. and Emma Spare Memorial Scholarship: established in memory of Reverend Bernard Y. Spare, Class of 1908, with preference given to students of good character and leadership qualities who are preparing for some form of social work. James K. Spatz Sr. Memorial Scholarship: established in memory of James K. Spatz Sr., a long-time caretaker of the Albright campus, with preference given to a needy student. John W. Speicher Scholarship: established from the estate of John W. Speicher in honor of his parents, for a deserving and needy student, with preference given to children of ministers. Edith and Marilyn Steinbright Scholarship: established by the Arcadia Foundation, Norristown, Pa., for deserving students. The Irving Suknow Endowed Scholarship Fund: established by his wife, Francine, in memory of Irving Suknow, to be awarded to a full-time student(s) who demonstrate(s) financial need and maintain(s) a minimum 3.0 GPA. Surdna Foundation Scholarship: established by the Surdna Foundation, New York, N.Y., for deserving students. L.K. Swartz Scholarship: established in memory of L.K. Swartz, who by personal example of courage, determination and hard work, successfully demonstrated that business conducted with high professional, moral and ethical standards not only benefits oneself but one’s employees, community and church. Preference is given to needy students studying business or science from Perry County or Dauphin County, Pa., who have demonstrated a determination and willingness to help finance their education through employment. By accepting this scholarship, a student has a moral obligation to encourage others in turn. Jane Miller Thorp ’49 Scholarship: an endowed scholarship established by Robert K. Thorp, in memory of his wife. The scholarship is awarded to an incoming first-year student who is academically strong and demonstrates financial need, and may be renewed for three additional years based on the recipient maintaining a 3.0 grade point average. Emma Sanborn Tousant Scholarship: established by Emma Sanborn Tousant for worthy students. Trinity United Methodist Church Scholarship: established by Trinity United Methodist Church of Reading, Pa., for a student, preferably from Berks County, who has demonstrated financial need. James D. Urban Memorial Scholarship: established by family and friends of James D. Urban with preference given to a full or part-time student who begins a college career at least one or two years after graduating from high school and majors in business or accounting. Olive Boyer Van Hyning Scholarship: established through a bequest by Olive Boyer Van Hyning for a deserving and needy student. Walker Wadsworth ’73 Scholarship: established by the family and friends of Walker Wadsworth. The scholarship is awarded to an incoming first-year student who graduated from Reading High School. It may be renewed for three additional years if the recipient remains in good standing at the College. William W. Walb Jr. Scholarship: established by William W. Walb Jr. ’48 to provide assistance to two students seeking certification in elementary education and demonstrating financial need. James A. Walker and Dr. Edward R. Gilbert Scholarship for Altruism: awarded annually to a senior, regardless of financial need, who evidences a genuine sense of altruistic community service, which enhances the quality of life for others through unselfish sharing of time and talents in two of the following three areas of service: College, community or house of worship. Jack E. Wetzel Fund: provides scholarships for deserving and needy students. Students will receive scholarships during their entire college education as long as their academic achievement is satisfactory. C.W. Whitmoyer Scholarship: for worthy students. Dr. Harry K. Willits Scholarship: for scholarship assistance to worthy students. Eleanor Lois Wintsch Scholarship: established by the late Dr. Carl Wintsch as a memorial to his daughter, with preference given to a student preparing for religious education or the ministry, who is from New Jersey or the Eastern Conference of the United Methodist Church. Womens’ Auxiliary Scholarship: established by the Womens’ Auxiliary, for worthy students. Douglas B. Woolson Memorial Scholarship: established by family, friends and fellow students in memory of Douglas B. Woolson ’88 and to be awarded each year to both junior and senior students, with preference for philosophy majors. Hammett Worthington-Smith Honorary Scholarship: established by an ex-marine who entered college at age 32, in honor of this English professor who cared enough to work with him after class to help him achieve, thereby changing his whole attitude toward education, for worthy students in need. Rebecca Sungja Yun Scholarship: established by Daniel Duwahn Yun, M.D., a member of the Board of Trustees, in honor of his wife. Dr. and Mrs. Yun are the parents of Judith Yun Stemmler ’88. The scholarship is awarded with preference to an incoming freshman with a “B” average who demonstrates financial need and is renewable up to three additional years if the recipient maintains good academic standing. Albright College truly appreciates the generosity of our most loyal supporters. Alumni, parents and friends who contribute a minimum of $1,000 in a given year, including matching gifts, are recognized as members of The President’s Council, the College’s annual giving recognition society. Through their faithful support, President’s Council members help ensure Albright’s stature as a strong liberal arts institution and play a critical role in the future of the College. Leadership annual gifts at the President’s Council level create a legacy of Albrightian support for current students as well as future generations. We invite you to join and celebrate in our tradition of giving through your membership in The President’s Council. Alumni who have graduated in the past ten years are invited to become members of the Young Alumni President’s Council by giving $100 for every year since graduation. Graduates who contribute $100 or more toward the Senior Walkway Legacy Program during their first year following graduation automatically become members for that year. For more information on President’s Council membership, please contact the Office of Development at 1-877-427-9756 or e-mail Kathleen Sutton, Senior Director of The Fund for Albright, at ksutton@albright.edu. The 1856 Legacy Society, named to commemorate the founding of Albright College, plays an important role in enhancing Albright’s educational mission. The society is made up of Albright alumni, parents, faculty, staff, and friends who have created planned gifts to benefit the College. Every member has generously agreed to provide the College planned gifts such as charitable bequests, remainder trusts, gift annuities, and life insurance proceeds. Click below for more information or contact Brian Pinto, Assistant Vice President of Major & Planned Giving at bpinto@albright.edu or (610) 929-6728 to find out how you can have a permanent effect on our students’ lives. The J. Warren Klein Society celebrates those individuals whose cumulative lifetime giving to Albright has reached or exceeds $100,000. Their exceptional and ongoing generosity makes a huge impact on Albright through scholarships, improved facilities, and support for the operating budget. These gifts sustain us in the present and enable us to plan for a stronger and brighter future. The Albright College Advancement Division builds relationships and creates connections by engaging alumni and friends, establishing strategic partnerships, and facilitating opportunities for philanthropic support to connect individuals to the mission of Albright College to further its educational and operational goals.